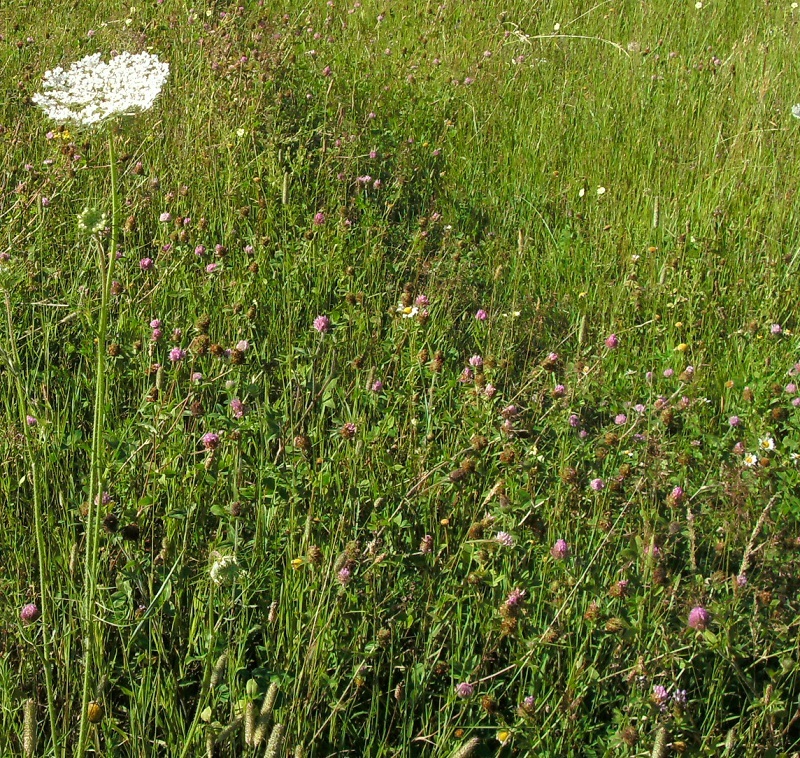 Pea Pickle Farm: sixteen tons of gravelly humidity alleviated by damselflies and then along came tom jones ... what, no mention of the cinnamon rolls?! sixteen tons of gravelly humidity alleviated by damselflies and then along came tom jones ... what, no mention of the cinnamon rolls?! The heat wave injected with massive amounts of humidity was broken by waves of storms charged with thunder and lightening and a wind that flattened the sunflowers along the garage wall. The next day the day lilies bloomed as did the Queen Anne’s lace, suddenly shoulder high, a spurt or two above all others. This morning it nods gently in the northerly breeze giving a slight, regal wave to the multi-colored minions below. 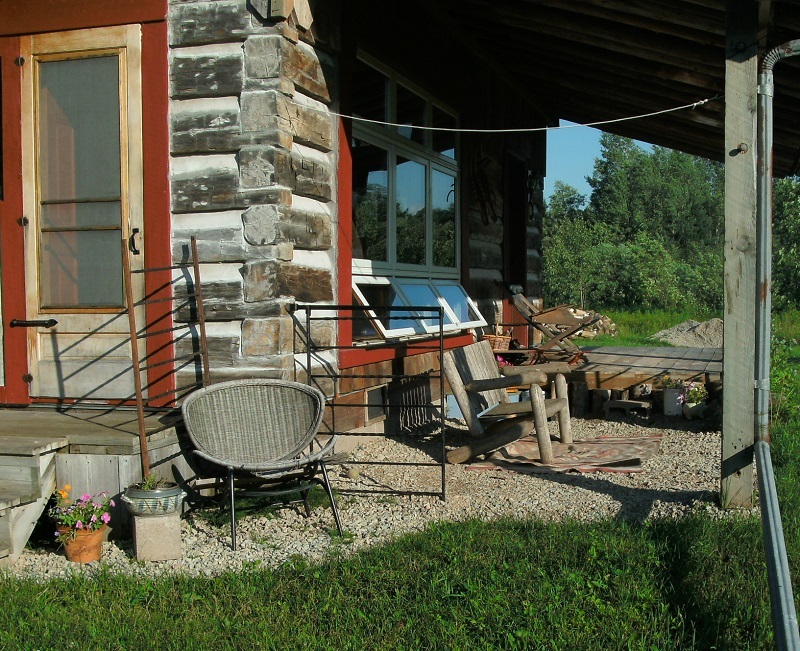 It was upper 80s, 90s, most of the week, with humidity about the same so I candled in the mornings, when it was relatively cool, and in the afternoon went with the flow and shoveled and hauled gravel out to the low spots in the drive. It has become apparent that this graveling-the-drive-bit-by-bit project will be never-ending. 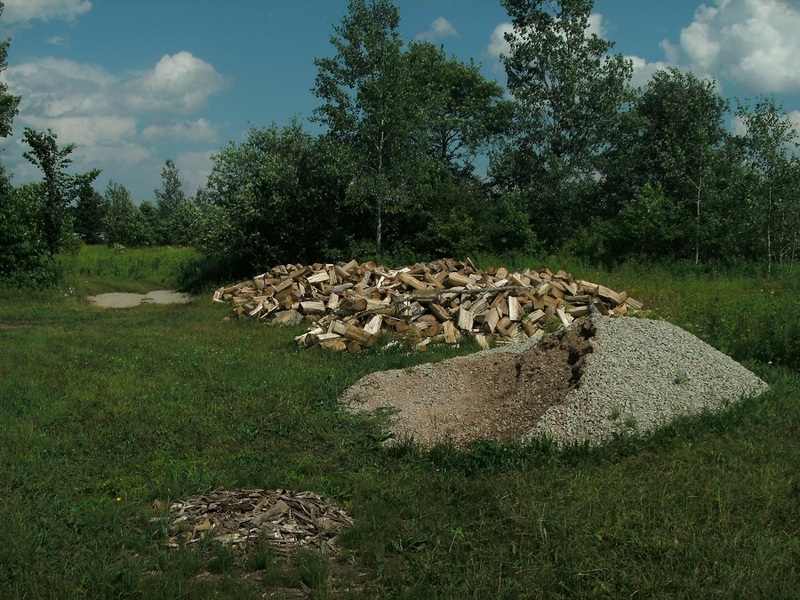 The gravel piles (there are two) get smaller, but there are still tons remaining from the sixteen I started with. And there are spots in the 400-some-foot grassy driveway-through-the-field that with gravel and deluges of rain are now small murky pools—which is an improvement over deep mud puddles—but all I can think is that I need to keep building up these spots, need to keep hauling out gravel, bit by bit. Funny that at the top of my Things To Do list a couple of years ago was getting the drive graded and graveled. Gravel pile, wood piles, the work piles up. All the gravel-around-the-house projects are complete: the north end of the west side (the gravel patio), the little corner by the back stoop with the busted chair, the north side below the upper deck, and the east side that was already edged with a strip of rocks. Ye Olde Gravel Patio and The Little Corner by the Stoop. Tuesday I charted weather statistics as found on intellicast.com. The day started at 69º with 84% humidity, no wind, overcast. Until late Thursday dampness hung in the air like a veil, like a scrim of sweat. Late Thursday the heat-busting storms began rolling through and rolled on through all through the night. The best thing about a heat wave is breaking it; the best thing about hauling gravel in a heat wave is jumping in the river. Wednesday the river was clear, cool and flowing. There is a fallen branch to hold onto that allows floating without floating away, allows gentle jostling by the cool flowing water while hanging in place, and all the length of this branch and the fallen tree trunk it is attached to damselflies were flitting and flying about, refracting shimmers of blue and black light. One then another would alight on the branch in complete stillness then slowly flex its gossamer wings before taking off again. Right next to me a pair mated, their disco-blue toothpick bodies curving in such a way as to form the outline of a heart, and where is one’s camera when one needs it? Not in the pocket of my jeans, so luckily there is the internet. 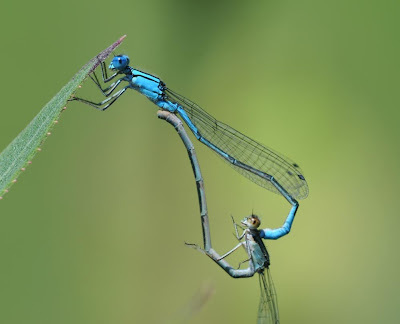 Mating damselflies. I did not take this picture. Yesterday’s market was cool and breezy, bustling and sunny, the crowd swelled a bit by those drifting over from the Hiawatha Music Festival. Driving in I heard “I Love A Rainy Night” by Eddie Rabbitt. Have you ever heard Tom Jones’ version? Growl. 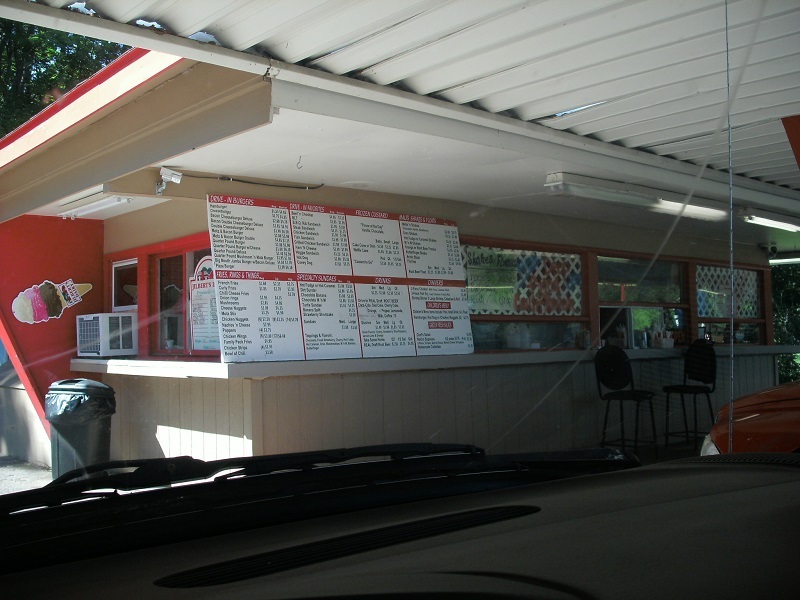 On the way home from the market (which, by the way, is involved in a new old controversy) I stopped at The Drive-In for dinner: a root beer float, fries, and a fish sandwich, in that order. I think my father would be proud.